A new manufacturing method for lithium-ion batteries could lead to smaller, lighter batteries that can be charged in just seconds. 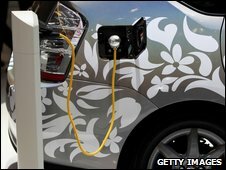 Batteries that discharge just as quickly would be useful for electric and hybrid cars, where a quick jolt of charge is needed for acceleration. The approach only requires simple changes to the production process of a well-known material. The new research is reported in the scientific journal Nature. Because of the electronic punch that they pack, gram for gram, lithium-ion batteries are the most common rechargeable batteries found in consumer electronics, such as laptops. However, they take a long time to charge; researchers have assumed until now that there was a speed limit on the lithium ions and electrons that pass through the batteries to form an electrochemical circuit. Gerbrand Ceder, at the Massachusetts Institute of Technology (MIT), US, and his colleagues used a computer simulation to model the movements of ions and electrons in a variant of the standard lithium material known as lithium iron phosphate. The simulation indicated that ions were moving at great speed. "If transport of the lithium ions was so fast, something else had to be the problem," Professor Ceder said. That problem turned out to be the way ions passed through the material. They pass through minuscule tunnels, whose entrances are present at the surface of the material. However, the team discovered that to get into these channels, the ions had to be positioned directly in front of the tunnel entrances - if they were not, they could not get through. The solution, Ceder discovered, was to engineer the material such that it has a so-called "beltway" that guides the ions towards the tunnel entrances. A prototype battery made using the new technique could be charged in less than 20 seconds - in comparison to six minutes with an untreated sample of the material. Most commercial batteries use a material made up of lithium and cobalt, but lithium iron phosphate does not suffer from overheating - something that has affected laptop and mp3 player batteries in a number of incidents. Even though it is cheap, lithium iron phosphate has until now received little attention because lithium cobalt batteries can store slightly more charge for a given weight. However, the researchers found that their new material does not lose its capacity to charge over time in the way that standard lithium ion batteries do. 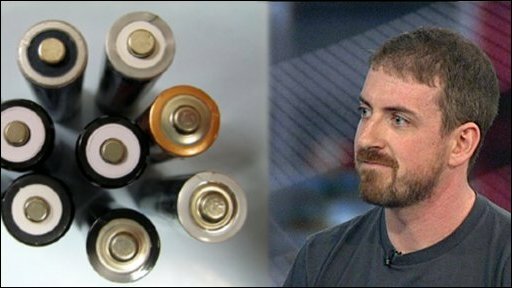 That means that the excess material put into standard batteries to compensate for this loss over time is not necessary, leading to smaller, lighter batteries with phenomenal charging rates. What is more, because there are relatively few changes to the standard manufacturing process, Professor Ceder believes the new battery material could make it to market within two to three years.